The Stiho Group has been a wholesale supplier to the construction industry for over 90 years. Now, it is entering a whole new world with a digital solution from Intershop. The Stiho Group was quicker than its competitors to grasp the enormous potential of the latest digital tools. With its new online agency, Sybrand’s Place, the Stiho Group provides e-commerce support for the construction industry in the form of round-the-clock service, a rapid response to urgent requests, and dynamic, innovative ideas. The Stiho Group has a full-time workforce of around 700 employees driving its growth. With its 37 locations, the company has a nationwide presence and provides rapid order response. The Stiho Group generates healthy sales of EUR 221 million per annum. Create an online shopping experience entirely from scratch that meets all the expectations of B2B customers in the construction industry. Develop purchasing roles and customer journey concepts that provide optimum support for customers’ specific business needs. Provide a genuine omni-channel customer experience, with the entire product portfolio being presented consistently across all channels. 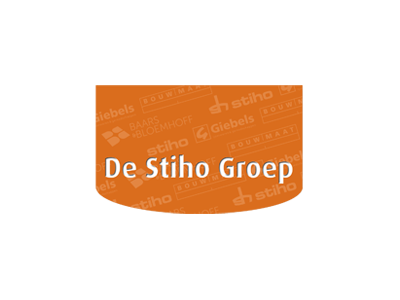 With its modular technology and, in particular, its comprehensive B2B features, Intershop software is the perfect solution for the Stiho Group. The Intershop platform is highly customizable and integrates easily with the existing software landscape within the Stiho Group. The solution can be readily adapted to changing economic and regulatory demands within the construction industry. The new service concept includes online orders, customer accounts with order and payment status, as well as product information, news, and tips. The customer experience can be personalized by displaying frequently ordered products. When orders are shipped, customers receive an automatic notification by text. Digital transformation of the Stiho Group is also designed to bring maximum benefit to staff members, addressing their needs across all areas of the business.